Walt Disney knew all along. Recent NASA images of Pluto appear to have a silhouette of the famous Disney dog. 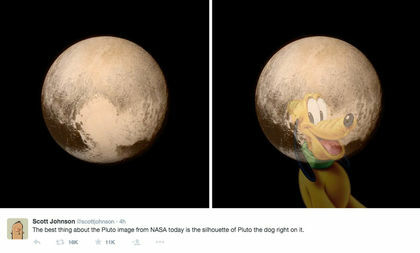 Cartoonist Scott Johnson tweeted out this image of the dog’s face superimposed on Pluto. His tweet has been retweeted over twenty-eight thousand times.